mummywee: Lesson #26: What are we worth, mums? All that talk about the worth of stay-at-home-mums (SAHM). Talking Point recently did a session on it and a fellow blogger wrote about the worth of a full-time-working-mum (FTWM), as the issue has been hotly debated since our Annual Budget 2015. Wait a minute. Why is there even a need for us mothers to justify our choices to others, whether we choose to work or to stay at home with our kids? Over the past 16 years that I have been a mother, I have thought long and hard about my priorities and tried different ways to find a balance between being around for the children and earning an income to contribute to the family's finances. 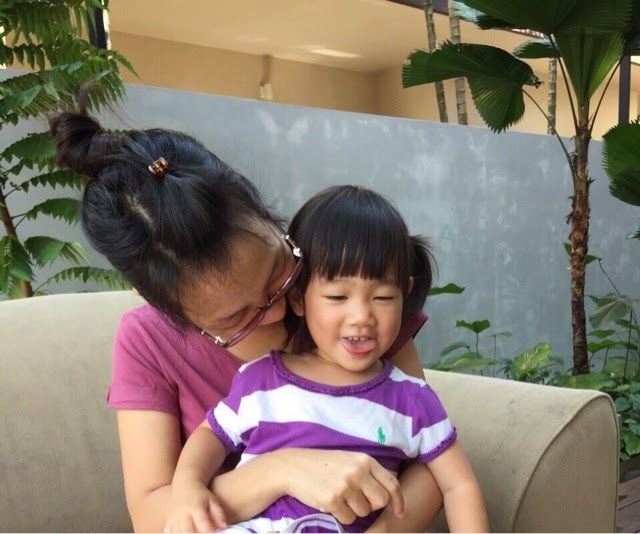 I have been a FTWM, a part-time working mum (PTWM), a work-from-home-mum (WFHM) and mostly, a SAHM. I have even been a FTSM. What's that, you say? It's a full-time-studying-mum. Let us imagine for a moment, a world, a world without say, politicians. Or CEOs, CFOs, bankers, brokers, or television personalities. They may be top wage earners but does that automatically reflect their worth? Now imagine a world with no mothers. Would there be today? Well jokes aside, without the influence of mothers; their love, gentleness, compassion, patience, wisdom and devotion, what sort of a place would this world be? However a mother chooses to best take care of her children, is for nobody to judge. To talk about her worth is derogatory, vulgar even. Our value is not to be reduced to mere dollars and cents. To some, doing the best they can may mean being there for their kids 24/7, while to others, it may mean giving their kids a good life which they themselves never had growing up. We all have different circumstances. Different aspirations. We are also in different life-stages. We don't need anyone to define our worth for us. Let us keep our heads high, our resolves strong. Let us soldier on as we have always done. SAHMs, FTWMs, PTWMs, WFHMs. These are just labels. We are first and foremost, simply, mums. I feel as long as we know, and our family knows our worth, it is enough. Every mother is valuable, and contributing in each of their ways. Like you said, we are first and foremost, mothers. And 天下的媽媽都是一樣的. I totally agree with you, Ai. We don't need to bother about what others think. Jia yu to all mums!